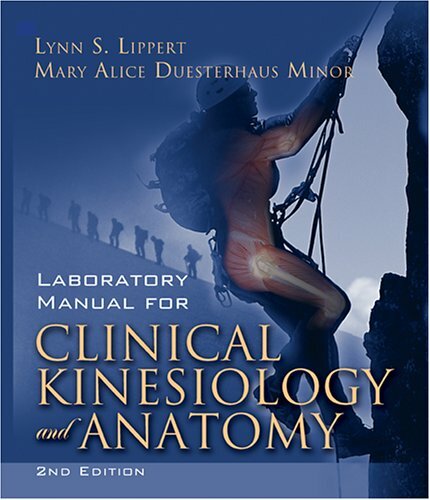 The perfect accompaniment to the new 4th edition of Lippert's leading basic Kinesiology text, the Laboratory Manual for Clinical Kinesiology and Anatomy will get your students "hands-on" with the basics of structure and function of the human body. This updated manual follows the text chapter-by-chapter, and includes lab activities to apply key concepts and review questions to assess students' understanding following lab work. Used Very Good (2 available) Great condition for a used book! Minimal wear. 100% Money Back Guarantee. Shipped to over one million happy customers. Your purchase benefits world literacy!